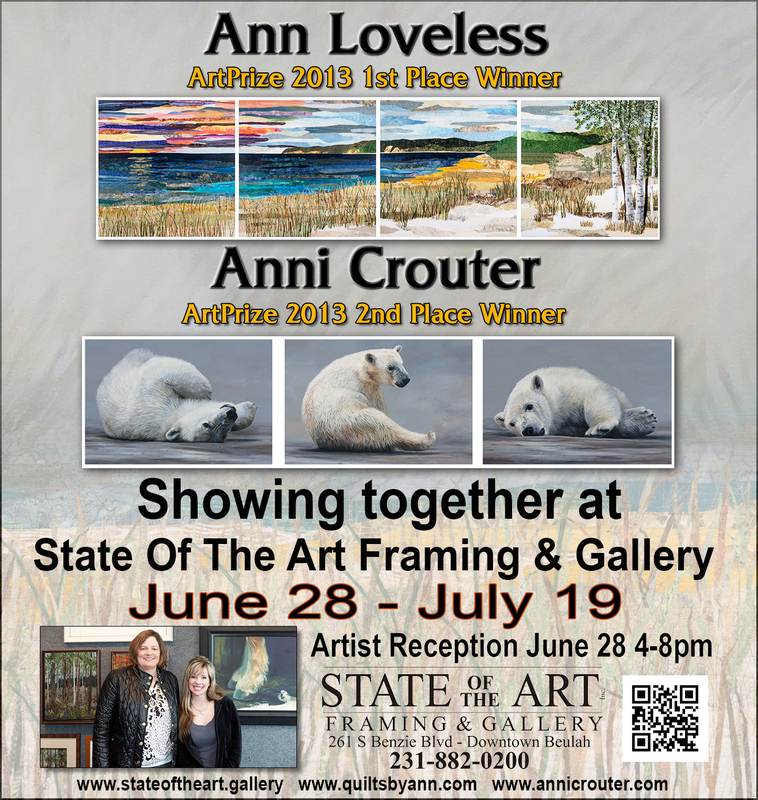 Ann Loveless and Anni Crouter who were the 1st and second plce winners at ArtPrize in Grand Rapids Michigan are opening a unique show June 29th at State Of The Art Framing & Gallery in Beulah, Michigan. Ann creates amazing textile lanscape constructions and Anni is a world class painter on animals working in both acrylic ans watercolor. This is a unique opportunity to see new works from both artists in one gallery.